Perhaps the ultimate three-in-one food item—fruit, seed, and nut—the coconut is bound to chockfull of health benefits. In fact, the wisdom of eating coconuts and anything made from them has been well documented over the past few years. However, there may yet be some benefits about which you haven’t heard yet—and we’re here to tell you about six of them. If you suffer from dry skin or hair, coconut oil is the answer to your problems. Rubbing it on your skin before a shower helps you absorb moisture, and leaving it in your hair overnight encourages your locks to shine. Thanks to the antioxidants, you age slower, too. 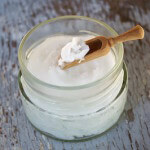 Until the fountain of youth can be definitively located, coconut oil is the friend you want. Coconut oil is also great to fight hair loss. Visit HairLossRevolution for more information. Anyone who has to deal with a skin disorder may find coconut oil to be a relief. 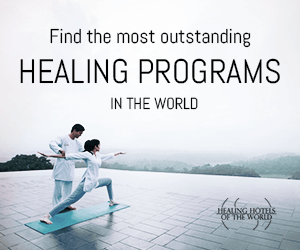 It’s wonderful for treating such conditions as eczema, dermatitis, and psoriasis. Need a plasma transfusion, but you’re fresh out of plasma? No worries—coconut oil can be used as a substitute! 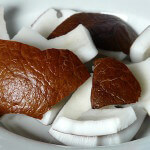 Because it aids your body’s ability to absorb magnesium and calcium, coconut meat protects you against osteoporosis. The risk of heart disease is lessened, too, since it reduces your cholesterol. 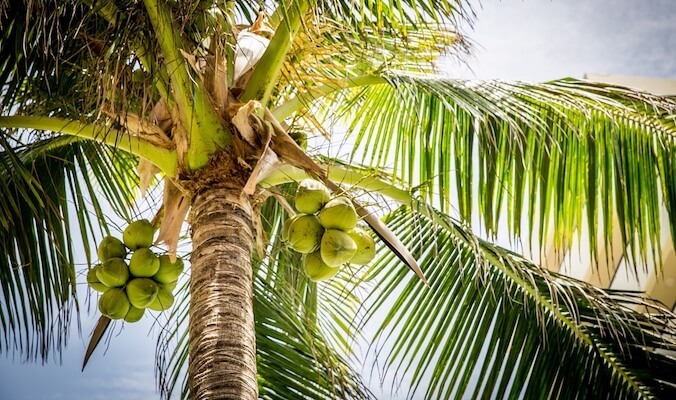 With all its amino acids, raw coconut meat is a fantastic option for bodybuilders who need protein to supplement their workouts and help mold the muscles that they want. In fact, it may even be better than more popular sources, like chicken, beef, and eggs. Cooking and baking with coconut oil lets you consume fat that turns into energy rather than, well, fat. Furthermore, it can speed up your metabolism, and the rich fibers help you to feel full faster and longer so that you don’t overeat. Bloating can become a thing of the past because it balances the water in your body. Also, it can specifically target excess fat in the abdominal area, shrinking your waistline. It’s no secret that music reduces stress, keeps your brain spry, and makes you happy, among many other benefits. Once you’ve used a coconut’s meat, milk, and oil, you can make the shell into a musical instrument and have fun supporting your mental and emotional health. Have we convinced you yet? Bring more coconuts into your life and see for yourself what happens.